Then zip on down and check this new popped up zip wire park that will be only around tell 1 October so be quick if you want to experience views of London from a metal tower that is 35mm high and situated in Archbishops Park, zoom down at speeds of 50 kph within approx. 20 seconds whilst seeing sites such as Houses of commons, London Palace, London Eye, the Gherkin building, Westminster Abbey and Westminster Bridge. This is the fastest city zip wire in the world. Don’t miss it before it zooms on by. To book a space on the zip wire in London or to read more about their other Zip World adventures click here. 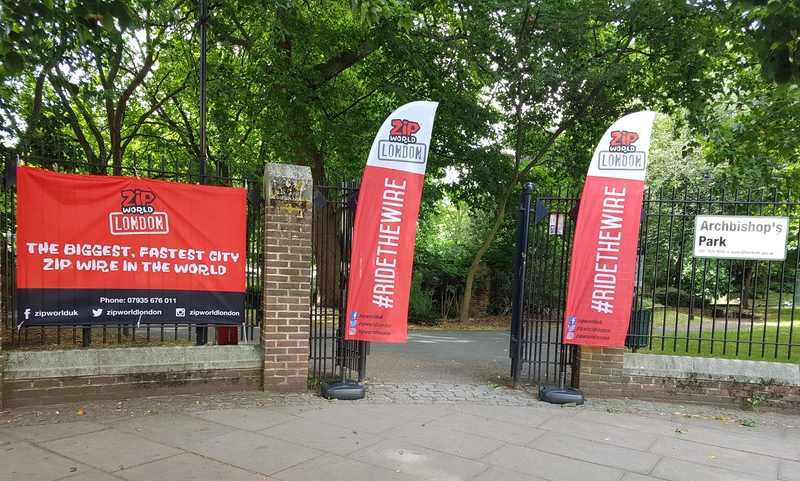 Thanks to Zip World who let some members from the community of Love Pop Ups London come down to experience a thrill of a life time. Read all blogs/reviews from the comments section below.